In recent years is seems that we have been seeing more and more major natural disasters – especially hurricanes – with barely a break in between. 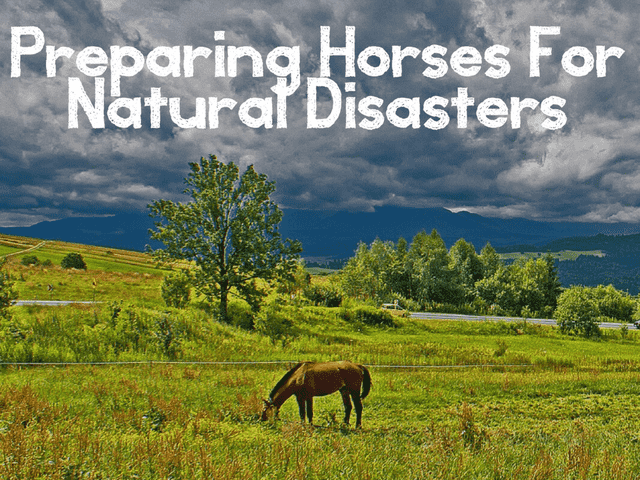 If you have horses as companion animals under your care, you know that sinking feeling in your stomach when the news reports an impending hurricane coming your way. As horse folk, we always tend to think of our animals before ourselves. It’s one thing to be scared and concerned, and another to actually have a plan in place for our horses. Here are some essential steps to take when it comes to preparing for natural disasters. and Like us now for updates on everything equine! 25% OFF your entire purchase!